Lean manufacturing is all about continuously improving work processes by identifying and eliminating waste, and the PDCA cycle is one of the most valuable tools in the Lean toolbox. The PDCA cycle, also commonly referred to as the Deming circle, is a four-step system with the same principles as all Lean methodologies: improve work processes and eliminate waste for maximum efficiency. If you’re considering implementing Lean principles or logistics to your facility, this cycle is a great introduction to it. PDCA is an acronym of the four separate stages: Plan, Do, Check, and Act. Plan: In the first step, you will assess the current state of the process, and look for any possible improvements. Observe the workflow and talk to employees for insight. If a problem is identified, examine it carefully and develop potential solutions. it is important to gather as much information as you can in this step to help you make informed decisions about how to proceed. Check: Follow up with the changes implemented and record relevant data. Analyze the new state of the process and compare it to how things were before. Charting or graphing this information could make it easier to identify trends for the next step. Act: If you found the changes to be effective, make them the standard! If the changes show no improvement, the process will remain the same. Either way, this is important information to be utilized in future PDCA cycles. The PDCA cycle is such a valuable system because although it is a specific set of steps, there is still a good deal of flexibility. The cycle can be practiced by virtually anyone in the company, at any level of an organization, and can address a number of problems or changes. Additionally, the PDCA cycle can be tailored to fit the needs of your facility. Your company should establish specific “sub-steps” that will help your unique situation. The more you outline the that need to happen during each part of the cycle, the better things will go. Who should be trained on the cycle? 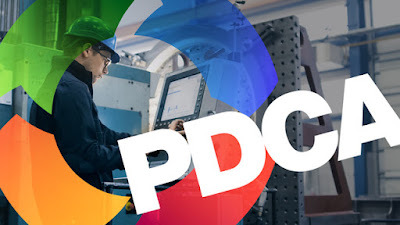 Anyone working within the company should understand what the PCDA cycle is and how it works. Managers, team leaders, and workers on the floor should all have at least a basic understanding of the cycle and be prepared to hit the ground running no matter the step of the process. It will make the implementation of changes smoother and more efficient. What changes should go through the PDCA cycle? Making the PDCA cycle mandatory for all changes that occur within the company could be very beneficial for your facility. Workers will have more opportunities to participate in different stages of the cycle and will set a standard and formalized process for future changes made. When should I use the cycle? How many times should I use the cycle? PDCA is continuous with no real end in sight. Once a cycle is completed, you can start looking for further solutions to implement in the future. 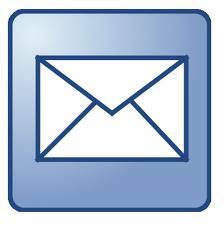 Continue using it on a specific area until the change has been fully implemented and optimized. How will I know the effectiveness of the changes? It’s all about data and accurately measuring results. By documenting results with each change, company leadership and management can clearly see the benefits of this methodology and will help give you the data needed to ensure this process continues long into the future.